Find your perfect yoga sanctuary in our Bali retreat list below. The resort has a wonderful spa and using natural ingredients for our SPA treatment. Perfect for individuals, group gathering, yoga retreat and foremost sanctuary for family. Surrounded by lush tropical rainforest. and harmony. Found just outside of Ubud in Pejeng Village. Anahata Villas arebuilt to make the most of the majestic environment in which they stand-atop a winding river across from the forested hills and full of landscaped gardens.The resort has a wonderful spa and using natural ingredients for our SPA treatment, spacious yoga shala, swimming pool, jaccuzi, large selection of vegan menu, private access to Petanu River and waterfall and swimming in our riverbank is a must. Yoga course are provided for the guest on the weekend. Anahata Villas and Spa Resort is perfect for individuals, group gathering, yoga retreat and foremost sanctuary for family. The heart and center of the Bali Mandala is our 140 qm meditation hall in octagon style, with stunning ocean view for groups up to 25 prs. Upon entering, a sense of wide open space emerges in this special place of powerful silence and energy, honouring the Balines Feng Shui. Constructed in the shape of an octagon with a typical, tall Balinese Alang-Alang roof, large glass sliding doors and cool terrazzo tiles, our meditation hall allows for a pleasant indoor climate during yoga and meditation practice and seminars. Daily yoga sessions offered for individual guests. The resort can also an be booked exclusevly for yoga retreats. 65m Yoga Shala equipped with mats, props, gong, anatomical skeleton, white board, Bluetooth speaker. Meditation deck in the tree tops. Basundari (The Grace of Mother Earth) a boutique retreat centre located in the village of Laplapan 2km from Ubud centre. Set amongst jungle, rice fields and the magnificence of nature. Basundari is a raw, beautiful, affordable, relaxed and stimulating venue to retreat or holiday. Suitable for yoga teachers, wellness practitioners, therapists, life coaches, artists, dance, product launch, weddings. Our rooms are earthy and unique with beautiful views. Built from recycled wood and up cycled furniture. All have unique en-suites and an individual charm. 10 rooms plus Basundari villa sleeping 24 people twin share. The premiere retreat center in Bali, Floating Leaf Eco-Luxury Retreat, is nestled in a traditional seaside village away from the congestion and crowds, but strategically located just 40 minutes from the airport and just 15 minutes to some of the popular hubs. The focus is on deep and lasting holistic wellness as well as sustainable living and giving back to the community. No other center helps retreat leaders more and has the best track record in the industry for selling out retreats. Awarded Best Retreat Center in Asia four years in a row. Go find out why this magnificent blend of personalized attention and authentic Balinese culture combine to make the best retreat experience on the island. Complete with two luxury award-winning spas, spacious top of the line appointed rooms, Healing Pool, and the kindest, most caring staff you can imagine, Floating Leaf’s crowned jewel is the Yoga Sanctuary with sweeping views of The Indian Ocean and Holy Mount Agung. The entire property is a showpiece of eco-living to demonstrate that living sustainably does not need to sacrifice comfort, technology, or luxury. The onsite organic permaculture gardens supply much of the food for the enormous high-prana meals served daily with endless mouthwatering options for vegan, vegetarian, raw, and any other dietary requirements guests may have. Recharge and Relax in our peaceful boutique Hotel, located just a short 10-minute drive away from central Ubud. Enjoy your stay - perfectly nestled between lush green rice fields and beautiful river valley. We offer yoga- and exploration retreats with daily yoga classes in a beautiful accommodation, on-site restaurant with healthy vegetarian & non-vegetarian food options and holistic wellness treatments. It’s the prefect intimate setting for yoga teachers, life-coaches, business owners, wellness practitioners, artists to host their retreats or workshops. We guarantee you a perfect sanctuary to relax, explore Ubud and the intriguingly stunning sites this region, in the heart of Bali, has to offer. Vision Villa Resort is the ultimate retreat destination, where you will find inspiration all around. We chose it for its beautiful natural location, tranquil seclusion, and uplifting energy. Vision Villa Resort is set in a small traditional Balinese village amongst verdant rice fields. Our secluded location on the eastern shore of Bali puts us far from the traffic, pollution and the crowds of tourists found in Ubud and southern Bali, but we are still conveniently located close to the world class surf beach Keramas, airport and other key Bali landmarks. Our 17 luxurious suites, library, conference center and Genius Cafe were all created with your ultimate comfort in mind. The grounds also feature an organic permaculture garden, five energy Pavilions, private areas, swimming pool, Spa and upper deck perfect for yoga activities. Genius Café Vision features locally crafted and sourced, organic whole food, and signature drinks, with special detox menu options available upon request. We are happy to assist you in tailoring the resort to accommodate your event by providing you with an experienced team that meets your needs. We welcome you to Samadi Bali – wellness hub and kitchen lab. A place for healing and happiness. Samadi grounds are spacious, surrounded by a lush green garden with rice-field views – voted one of the most beautiful yoga shalas in Bali! We offer daily yoga classes, yoga teacher intensives, holiday retreats, beautiful accommodation, healthy vegetarian food and holistic wellness treatments. We bring in the best of international yoga teachers who have trained extensively in a variety of different yoga styles and lineages. Our teachers at Samadi Bali bring a wealth of wisdom with the eagerness to share their love and passion for yoga. Samadi Bali also offers a Traditional Ashtanga Yoga Mysore program with KPJAYI authorised teachers. Samadi Bali is also a creative kitchen lab for healthy foods and happy bellies. We offer a healthy cuisine by experimenting with Ayurvedic principles and raw gourmet produced from local farms. The Samadi Kitchen emphasizes organic and natural foods low in fat and calories using whole grains, fresh fruits and vegetables, lean proteins and avoidance of artificial additives. The results are often surprising and delicious! A hub in Canggu for alternative health & healing. We offer treatments and courses for your body, mind and spirit. We offer a varitey of massages, therapeutic bodywork, chakra balancing, cranial-sacral therapy, trauma and stress therapy and life-coaching. At The Ark we offer you and your guests a wonderful beautiful home, surrounded by rice fields and a lush jungle. We provide the perfect nourishing and safe space for you to guide your students through your retreat/training's path. With a selection of luxurious suites, your students will be able to relax at our beautiful pool with a stunning rice fields view, recharge at the infra-red sauna and rest your body and mind for the next day of retreat. Not to mention our spacious and fully equipped Shala (mats, blocks, bolsters, blankets, straps and cushions are provided). We can also organise the transfer from the airport and all the meals for your retreat! Call us and schedule a visit. We invite you for a delicious vegan lunch at our home! Available for yoga teachers, therapists, healers, artists, conscious business, retreat and workshop facilitators as the perfect venue for a private and intimate retreat or YTT (Yoga Teacher Trainings). Life in Amed Boutique Hotel is an exquisite place to host your Yoga Retreat, offering a beautiful blend of Balinese and Modern design located in Amed on the Eastern tip of Bali. Life features elegant decor, fine bedding & furnishings, natural stone bathrooms, ocean views, swimming pools, set in lush fragrant gardens, steps from the beach with a coral flower bed on our doorstep. The Life in Amed Yoga Shala provides a sensational classroom experience as your eyes focus upon stunning sea views, in an open air setting within an authentic village soundscape. Ideal for more intimate retreats of up to eighteen people in our Shala with luxury accommodations to sleep thirty eight. Use of the Shala includes yoga mats, blocks, straps, bolsters, pillows, to ensure a well-rounded practice with ease. Half-board and Full-board packages are available with fresh choices of delicious Balinese and International cuisine to satisfy all dietary specifications served by our local, friendly staff. We see Mana as a relaxed environment where everybody feels welcome to come in for a meal or drink, Yoga, a movie or a spa-session while respecting the privacy of our in-house guests. By creating this relaxed sanctuary based around the principle of mutual respect and `live and let live`, we hope to create a space where you can be yourself, relax, connect, have fun and nurture your body and soul. At Mana our extensive range of accommodation is designed to provide a unique experience for everyone. We take pride in our tropical gardens and all our rooms are placed to enhance the green. From our Deluxe Bungalows to our Garden Rooms you’ll find something for you! Moving beyond “regular” accommodation we have established a community that is open to all guests, including drop-in yoga, spa, restaurant, bar and cinema. Everyone is welcome! Events organizer and consulting company specialized in wellness. More than 7 years assisting group leaders to organize their retreats, trainings, seminars or wellness holidays, helping them to create unique experiences. Essential destinations are Bali, Thailand, Spain, Greece, Portugal and much more. Portfolio of hotels and centers that suite different style of wellness events and trainings. We offer operational and logistic support to help you focus on your guests before and during the event. We help you to complete your program with other classes, sessions, workshops, activities and/or excursions that match your concept. Welcome to your wellness destination and live ESSENTIAL. 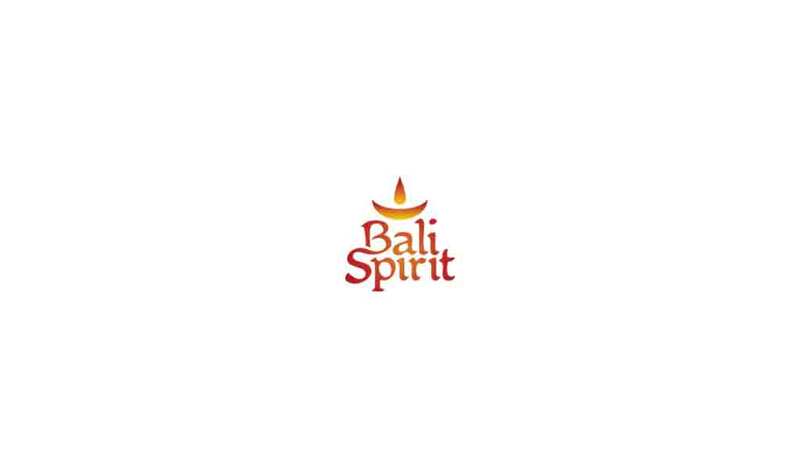 The largest online resource dedicated, exclusively to retreat centers in Bali. Our listed havens are found scattered in various corners throughout Bali. Retreat venues are hand picked and selected. 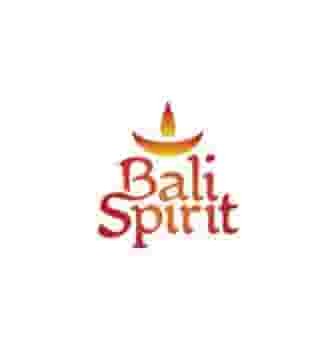 Bali Yoga Travel desires to extend their services to the retreat leader who plans to host their retreat in Bali. The peaceful atmosphere created at Prana Dewi Mountain Resort is ideal for Yoga, meditation and environmental retreats. It provides you with a 120 qm Yoga Shala, 15 traditional comfotable rooms generously sprend apart and a Restaurant with healthy vege and non vege food. It is an exceptional and impressive excample of how to use the richness of nature for a comfortable stay within organic rice fields, floating mountain spring water, lotus ponds and even a natural springwater swimming pool. Not only the creativity of nature itself is given its freedom and space, also the architecture of artful traditional bungalows melts into 1,5 ha of organically treated harmonized landscape. Delicious organic food that you can eat in the restaurant is mainly grown around you. For 15 years now teachers and their groups are coming from Bali and all over the world to perform all kinds of physical, spiritual, artistic and scientist retreats and trainings. The harmonious setting close to nature, our friendly service and the remote environment is just perfect for it. We are located 2 km below the UNESCO recogniced Tempel Luhur Batukaru, right at the foot of Mt. Batukaru which is surrounded by a natural reserved tropical rain forest. We offer guided trekking tours to enjoy the areas beauty and richness. Hati Suci (Clean or Pure Heart) has five antique wooden houses on the property sleeping a total of 16 to18, sharing rooms (including two bedrooms that have fixed double beds). We have developed this sanctuary with holidays and retreats in mind. All houses can be rented together or individually. The antique wooden structures have personality and rustic luxury running throughout. We have a kitchen where staff can prepare simple nutritious meals, using vegetables from our Permaculture gardens and where possible we use organic chicken and fresh fish.. All houses except Visnu House also have fully equipped kitchens. A large dining table capable of seating sixteen is in Ganesha House , and the dining table in Arjuna can seat ten people. There is a small yoga space and numerous additional spaces for relaxing in the gardens or by the 13m salt water swimming pool. There is also a massage area where local therapists can be booked for onsite treatments. Hati Suci has been built with a conscious effort towards sustainability and Permaculture. We have a passive solar water heating system, non chemical waste water (wormery) treatment, rain catchment and gardens that are chemical free. Situated just outside the village of Bayad, we are about a 25 minute beautiful drive to Ubud centre. Additional accommodation is available at our neighbours who can accommodate about 22 people. superb location overlooking the Ayung River Ravine and mountains beyond. The Experiencing Your Authentic Self retreat is a collection of modules designed to open your heart and master the art of operating and living deeply from your heart, on a moment-by-moment, day-by-day basis. ?In other words; changing from a FEAR-based life, to a LOVE-based life, by moving from your head, to fully into your heart – The Hero’s Journey. Far from the madding crowds and nestled in a valley of rice terraces, Bali Lush makes for the perfect retreat. You get exclusive use of the property which allows your guests to fully focus. No mini marts, touts or hawkers. Just you, your guests and a dedicated team of locally employed staff to help you put on a truly memorable experience. Perfect for holding yoga, meditation or environmental retreats, workshops or teacher trainings. Our open air Joglo serves as a multi purpose dining, meeting space and yoga practice area. Accommodations; anitique teak limasans and repurposed traditional rice storage cabins offer accommodation for up to 14 guests in 4 rooms or 17 guests over 5 rooms. Food: Ingredients sourced from our tropical fruit orchard, vegetable garden and rice terrace. We work with you to create a menu suited to your retreat. Vegetarian, vegan, gluten free and raw diets options available. Enjoy daily walks through rice terraces ,to nearby waterfalls and be greeted by the friendly Balinese as they go about their daily lives. Indulge in a massage or lounge by the heart shaped pool. We can also arrange a range of tours and local activities. Discover the Real Bali and host your next retreat with us at Bali Lush. Our yoga shala is tucked in the forest overlooking the ocean and trees.Set in a quiet space under a cloth canopy we have created a space that allows you to slow down and go deeper into your practice.Yoga matts, blocks and water are provided. We offer yoga classes and retreats on site and welcome anyone looking for a venue to run their own retreats. Inspired by spiritual wisdom.Grounded in 'green-to-the-extreme' eco-principles. Bali Silent Retreat is more than a yoga asanas and meditation retreat - it's a restorative and inspirational sanctuary, to nourish your body and soul and reconnect to your true self AND experience the REAL Bali – its nature and culture. Your Silent Retreat can start and end on whatever days you choose. Join group programs (check our calendar for Agnihotra Fire Ceremony, Culinary & Balinese Cultural lectures and ceremonies. Rice Terrace Walks + + + ). Or, on your own, enjoy the labyrinth-walking-meditation, medicine-herb-garden, jungle-path, holy water meditation or soak in the hot springs. You do what you want to do when you want to do it in peace and profound silence. Or . . . . develop the "art of nothing" and just eat, sleep, read and repeat. Recycled timbered lodge for dining relaxing with spectacular 360 degree view of rice fields and mountains. Breezy open Octagon for meditation and asanas and Agnihotra Fire Ceremony. Small private wooden bungalows to snug single rooms to dormitories, all with simple but tasteful touches, down comforters, 100% cotton sheets, kimonos and stunning views. World Renown Food: organic fresh and live vegetables, fruits, and herbs from our gardens picked and prepared with love and care, and without chemicals or commercial fertilizers. Location: At the base of the holy mountain Batu Karu, (1.25 hours NW of Ubud). Naya and Naya's Rainbow combined has 30 beds for residential retreats, yoga classes of up to 40 people Our beautiful sanctuary also offer a spacious open-air yoga shala and in house spa. Find your personal ground note. Nada Yoga - The Yoga of Sound. New findings support the notion that all living creatures are not simply a blend of matter but are shaped by sound energy in motion. While these vibrations are common to all living things each has their own individual sound frequency, called ground note – this includes HUMAN BEINGS. To experience a personal ground note is wonderfully spiritual. An Indian scientist Vemu Mukunda discovered that the key to each individuals personal ground note is to be found within the voice! Mukunda developed a method by which a specialized sound therapist can locate a personal ground note in a 2-3 hour individual session. This ground note resonates from the core of a person´s being, and once discovered can be relied upon to provide either energy or tranquility at any time. Ground notes are unique and are shaped by each person’s own character, abilities and characteristics. In fact by practicing the special exercises originated by Nada Yoga an individual can extend effect of the personal ground note to benefit life on daily basis: confidence and personality will grow, debilities will be reduced. Because sound is working holistically, our whole energy system will get harmonized becoming a well-tuned instrument! An exclusive setting of ten Balinese garden villas where you can reconnect with yourself, nature, or a group of intimate friends. A refreshing routine – sunrise, yoga, meditation, walks, swims, treks, spa, board games, sunsets, and nature walks; it certainly won’t feel like routine. A feast for your senses, our menus feature nutritionally balanced Asian and Western cuisine delicately flavored with fresh produce from our garden. Soulshine Bali was founded in 2011 by two frieds, Michael Franti and Carla Swanson, whose sahred love of Balinese culture inspired them to design a place where others could come and enjoy the magic of this beautiful island. A boutique hotel and yoga retreat oasis located five minutes outside of the village of Ubud, Bali in Indonesia. We have been dedicated to creating a place of happiness where groups or individuals can come to relax, adventure, deepen their practices, eat great food, play in the sun and get back to being themselves. All of the people on our amazing team come from nearby villages, and will make you feel welcome from the moment you arrive. Whether you've come to Bali for a tropical getaway or to find new beginnings in your life, Soulshine will help you to see the owrld in whole new way. infused with love, good intention and tangible energy by Guru Ketut Arsana. It is a perfect place to recharge positive energy in awe-inspiring and natural environment. Directly bordering on to the emerald green rice fields, the location breathes peace and calm. Dedicated to truly authentic Panchakarma—the ultimate and most effective healing experience in the science of Ayurveda. Experiencing a Panchakarma (PK) is beyond a spa wellness holiday and different for each person. It is a gift of rejuvenation to the body, mind and soul that everyone deserves. We offer individual programs which are carefully put together by highly qualified physicians in Ayurvedic medicine and include therapeutic massages, deep detoxification techniques, herbal medicines, personalised diets, yoga, meditation and lifestyle transforming experiences. At Oneworld Ayurveda, guests have the opportunity to live memorable experiences. The Ayurveda healing centre is situated on the border of the rice fields and located 8 km from Ubud, the cultural and spiritual center of Bali. The location offers twelve beautifully designed, incredibly comfortable rooms with beautiful views into rice terraces and the jungle. Each room has a private terrace or a private garden. The yoga and meditation pavilion also has amazing views to the rice fields. A swimming pool area, an authentic Ayurvedic dining room and permaculture herbal gardens. Oneworld Ayurveda provides 7/10/14/21/28 days Ayurvedic Panchakarma experience. Yoga, meditation, spa, discoveries and more. Over 50 retreats every year with amazing retreat leaders. Oneworld Retreats offers individual and group journeys to the source of travel and life experiences through a combination of yoga, meditation, spa and deeper experience retreats. We also offer Discovery Journeys, which will take you off the beaten track. Pavilion, dining room, lush gardens and wonderful views of the rice fields as well as a spa offering high quality treatments and a beautiful yoga shala. On our retreats calendar you will find a wide choice, catering to different needs. The Escape the World has grown to be a jewel in world of retreats. It, along with Follow Your Dreams, Footprints in Bali, Immerse Yourself in Bali and Aging Gracefully the Ayurveda Way are led by our experienced local leaders. In addition to them, we also offer a myriad of retreats led by outstanding, long time external leaders who have chosen our resort to share their experience and vast knowledge. The retreats are designed for those who want to immerse themselves in yoga and meditation, spa treatments and cultural activities in serene surroundings. It is the ultimate vacation for body, mind and soul. The fourteen bedroom holistic retreat is located 1.5 km from the heart of Ubud in Bali but well hidden and peaceful. Bordered by a small creek to the west, the eco-friendly retreat is surrounded by jungle and rice fields. The retreat centre offers two swimming pools, dining room, spa and 125 square meter yoga studio open to nature. For our guests' ultimate serenity, we welcome guests of a minimum age of 14 years. The spa offers top quality treatments including Ayurveda massages. Only specially trained therapists with a deep spiritual sense, perform the Ayurvedic massages offering a truly holistic experience. Please take a look at our spa menu for all the treatments. Prana Veda is a place of beauty, stillness and peace, where you can easily reconnect with yourself and discover the magic of the island of the Gods, far away from the main tourist streams. Discover a beautiful and protected space in which you can experience transformation, healing and personal shift. You find this hidden paradise located on the north coast of Bali with a wide beachfront facing the Indian Ocean, surrounded by a beautiful garden. Daily Yoga and meditation classes are part of the retreat weeks and Spa treatments with various healing, relaxing and rejuvenating massages. Discover Aqua Healing and Floating in a heated pool as a blissful way to experience deep relaxation and stillness. Prana Veda’s highly appreciated food is a synthesis of health aspects and indulgence, partly grown in our permaculture garden. All retreats include full board with three delicious meals daily. Swim and snorkel at the colorful reef in front of Prana Veda, enjoy a sunrise boat trip or visit temples, volcanoes, beautiful beaches and waterfalls on day trips. You can rent Prana Veda Sanctuary exclusively, suitable for groups of max. 12 people. Garden to plate food from our permaculkture gardens and heritage rice fields. Gorgeuos open air bungalows build next to spring fed streams and waterfalls. Bali Eco Stay will change the way you think about eco-tourism. Wander through rice fields & food forests. Trek in the jungle, or up the mountain. Frolic under our waterfall, swim in the stream. On an island of beautiful locations, Bali Eco Stay stands out, as one of the most beautiful. The views are breathtaking, a Balinese paradise. If you don't do any activities, you'll still have a great time. Bali Eco Stay is stunning sustainability. Spring water, local timbers, hydro-electricity, non-chemical housekeeping, proper waste management, organic rice, fruit and vegetables, active social programs & environment projects. Bali Eco Stay is, just a few, modern, timber bungalows, set in a panoramic landscape, nestled in a gentler climate, in central Bali. It is Balinese graciousness, and fabulous villa standards, in a gorgeous setting, with environmental care and a social conscience. Our new large timber yoga bale with forest views, is ideal for self practice yoga or yoga retreats. Bali Eco Stay is a naturally stunning venue available for Exclusive Use for retreat groups or events with up to 25 adults. Enjoy a truly memorable experience in nature - with pure mountain streams and waterfalls, abundant spring water, beautiful handcrafted bungalows, garden to table food, food forest and rice terraces as far as the eyes can see. The North Shore of Bali is becoming known as the destination for Spiritual Tourism. ShangriLa Oceanside Retreat and Spa is a magical and perfect place for an individual wellness retreat or for seminars up to sixteen people. Exquisite villas and bungalows feel like your own personal temple. The Watsu pool, Spa and the spacious octagon Yoga and Meditation temple were all built with conscious awareness for your upliftment. Join us for daily Yoga and excellent snorkeling in the protected reef right outside your doorstep. Dolphin adventures can be arranged with the local fisherman. Our vegetarian restaurant serves excellent healthy meals. Many people have said that ShangriLa is truly Heaven on Earth. Whether you stay a week or weekend, ShangriLa will stay with you forever. 12 residential units in a traditional, peaceful, beautiful setting - each house completely unique, of varying size and price (when rented individually). Primarily converted Javanese, antique, reclaimed teak homes, and jungle huts. One larger home overlooks the river valley, 8 smaller units sit in the jungle, plus 3 larger houses have stunning rice field views. A 10 x 8 m hardwood sprung floor yoga hall overlooks the jungle, plus we have spa facilities, an on-site restaurant, and a 10 meter volcanic stone saltwater pool. Set amidst working rice fields, permaculture and native gardens, and a jungle on the edge of a river valley. Close by a traditional village, 13 km north of Ubud and 10-minute drive from Tampak Siring. We are situated in a remote, cooler, quieter, (except for all the wildlife!) location. We are energetically a world away from any tourist areas, but in actuality only about a 25 minute car or scooter ride away from central Ubud, all along quiet and picturesque back roads. 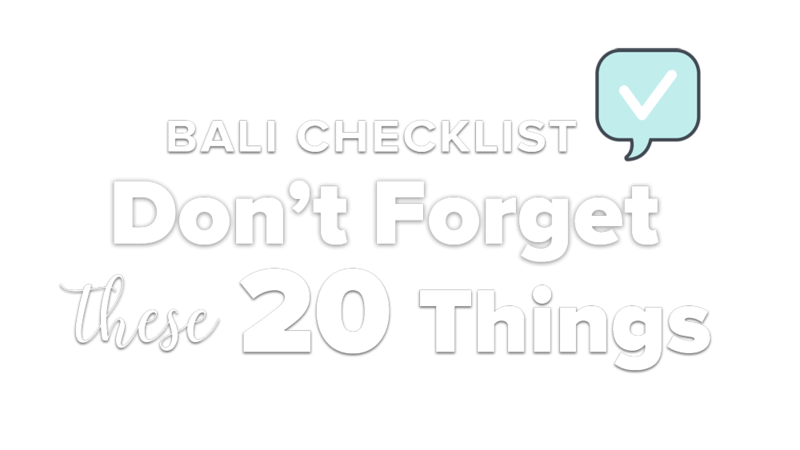 Close to many of Bali’s most sacred temples and other places of interest. Self-catering facilities in several units, all accommodations en-suite, with fridges, safes and wifi. We are minutes away from local warungs, and about 10 minutes drive from several upmarket hotels with excellent restaurants.